The Australian Cricket Team will start their limited-overs series campaign against Pakistan on March 22 in Sharjah. The 15-man Australian squad was the talking point last week as some of the big names were missing. While many expected a return of Steve Smith and David Warner; the duo won't be seen in action just yet. Both are recovering from their respective elbow injuries and are expected to be in action during the Indian Premier League. Paceman Mitchell Starc hasn't recovered from his muscle strain and the focus is on getting him fit for the World Cup. Therefore, he won't be touring UAE. 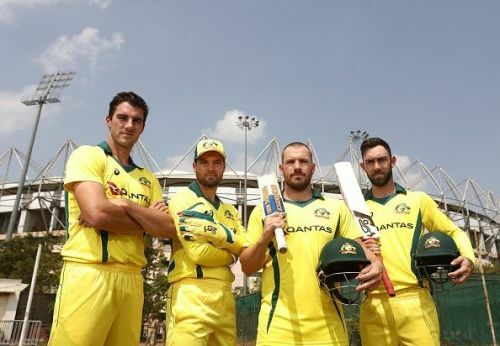 Out-of-form Aaron Finch will lead the side and he will have Alex Carey and Pat Cummins as his deputies. The side would be confident of doing well in the upcoming series, as they had an impressive outing against a strong Indian side earlier last month. They won the T20I series and ended up sealing the ODI contest honors as well. Pacer Kane Richardson is an uncertainty in the playing XI as he picked up a side strain last week. But he is expected to fit ahead of the first match. For Pakistan, Shoaib Malik will lead the side in the absence of Sarfaraz Ahmed. Babar Azam, Fakhar Zaman, Hasan Ali, Shadab Khan and Shaheen Shah Afridi have also been rested for the series against Australia. Veteran batsman Mohammad Hafeez has been left out as he is yet to recover from a thumb injury. Shoaib Malik (captain), Shan Masood, Imam-ul-Haq, Haris Sohail, Faheem Ashraf, Imad Wasim, Mohammad Rizwan (wk), Abid Ali, Saad Ali, Umar Akmal, Junaid Khan, Yasir Shah, Usman Shinwari, Mohammad Amir, Mohammad Abbas and Mohammad Hasnain.